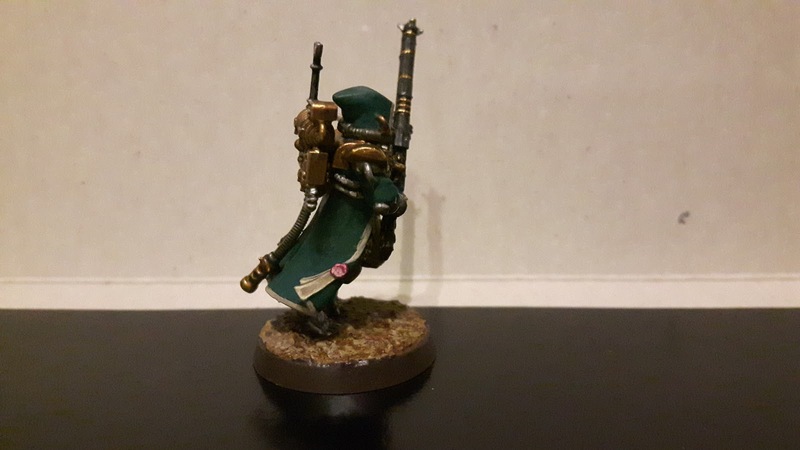 Following my previous post on my ill-advised foray into the wold of the Adeptus Mechanicus, I am proud to present my first painted Skitarii. 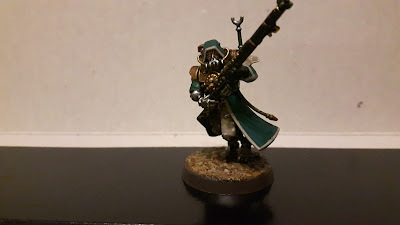 I tried a few different colour variations before settling on the above scheme. Initially I tried painting the cloaks yellow but they just looked like they were wearing raincoats! 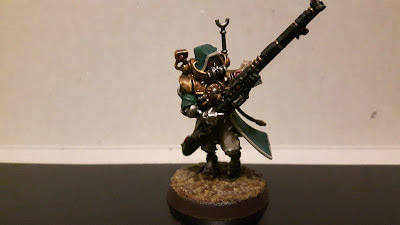 In the end, a green-blue hue is much more satisfying, complemented by brass and rakarth flesh with pink for the lenses and other small details. 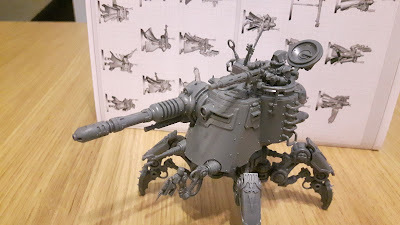 I can't wait to have a few more finished and to make a start on the Onager Dunecrawler from the box set. 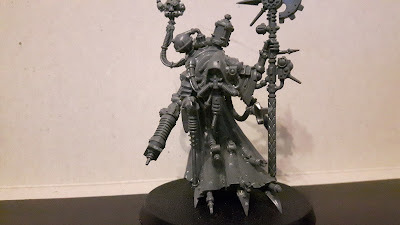 A few more images of the completed build and test painted model below for your amusement. Side shot - Pink purity seals for extra purity! The Onager - MOAR heavy stubbers!! Dune crawler does look pretty badass. It occurs to me that it would be quite funny to battle this set against the Necron starter set - my 10 men and a silly walker vs your 10 men and a silly walker. Want to hit Keith up on the weekend? I can see the article now. "The first thing you have to do in order to hit Keith up is go into town" at that point I'll probably put in a short discussion about good tunes for the road .... or are we talking about actual wargaming? Let's hit him up, the only acceptable tunes will be by Crossfaith. I wonder if he has another Skitarii box set? It's probably a bad idea, I might come back with a MONOLITH ... or possibly start a circle pit in the store. Skitarii - How many projects is too many?